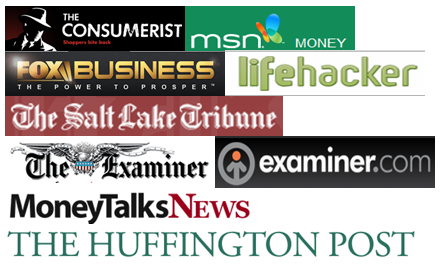 This article is part of the yakezie blog swap event where bloggers swap articles with each other in order to reach out to new audience. This is good for readers as well, as they get to taste a different perspective on personal finance from a different writer. This article is written by Shanendoah at The Dog Ate My Wallet, a blog about managing your personal finances in a world full of easy excuses. If you wish, visit her blog to read my story. The truth is, there are probably a number of things I never go cheap on- things like tires or high end kitchen gadgets –things that I expect to last a number of years, and the reason I don’t go cheap is that the pricier items actually last longer than the cheaper ones, making them, in fact, cheaper in the long run. But I actually want to talk about something where there’s not a “cheaper in the long run” benefit, something that I honestly, always choose to pay more for, and it’s also something I buy on a regular basis, Tea. Now, tea is not a high end expensive item to begin with, and yet, I generally choose to buy tea that is priced around $4/20 teabags, when I could buy 100 teabags for $1. That’s right, I pay 20 times as much for my tea as I need to, 20 times. And since I go through a little over 20 teabags a month, that means I’m paying roughly $48/year when I could be paying $2.40. While in the grand scheme of things, $45/year isn’t a big deal, it is at least one more dinner out at our favorite restaurant. I still don’t actively seek out the most expensive tea. I could definitely be spending more, but I won’t spend less. The really cheap tea is generally Lipton brand, and I won’t buy any of their teas. Something about the blend they use leaves me with an awful aftertaste. I call it the Lipton aftertaste because I don’t get it with any other brand of tea. I could buy store brand regular black tea and not get that aftertaste. In fact, I have some for making sun tea in the summer. But it doesn’t come to work with me. And my tea is for the office. Here’s the even “better” part- I don’t have to spend money on tea at all. My office provides tea, both black and herbals. I could have tea every day, for free. But I don’t. I am picky about my tea. I like my black teas with milk, and I won’t bring milk in to the office. It would disappear from the fridge in a day. I reserve chamomile for an end of the day relaxant. It is most definitely not what I need to start my morning. I’m not a fan of green teas, except for jasmine tea, which my office doesn’t provide. In fact, I’m not a huge fan of any of the office provided blends. I don’t drink coffee. I hate the smell of it. I start my day with herbal tea. I’m not looking for a caffeine rush, just a smooth taste, something that can ease me in to the work day, help relax away any stress while allowing me to stay alert. I also have some sinus issues, so breathing in the steam is often therapeutic in and of itself. This is how I start my work day. I don’t want to start it with a bad aftertaste, or with the bitterness of black tea. I don’t want to start with a blend that will put me right back to sleep, nor do I want my day to start with something that is just ok. I want to breath in a scent that perks me up, makes me smile. I want a flavor that is either smooth and subtle (like jasmine tea) or strong and bold (like a cinnamon/ginger blend) depending on my mood and what I have to do that day. Sometimes the choices we make are about money. There is nothing wrong with that. I’ve settled for the cheap option in kitchen knives, furniture and bath towels many times. I still try to get the best quality I can for the price, but there are definitely times when price IS the factor. For my daily tea at work, price isn’t the most important factor. I won’t say it’s not a factor- I’m not a brand loyalist, I’ll buy whichever higher end brand is on sale –but it is not the deciding factor. The deciding factor is how do I want to start my day? Is making a cup of this tea going to perk me up as soon as I smell it? Am I going to look forward to sipping it as I go through my morning emails? My tea sets my mood for the day. And for me, that’s worth paying for. SB : I have a taste of good tea too. 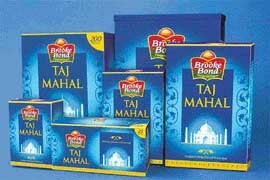 For us its Darjeeling tea of Taj Mahal brand (only available at Indian stores near you), the one in the picture. This one I have been drinking for years, can’t change habit and can’t compromise on quality. Readers, what are the things you cherish too much to go cheap. Funny, but it is coffee for me. I have never compromised on the quality of my coffee despite financial adversity at certain times of my life. Little things like that make life a tad more enjoyable, I believe. Maria well said! If you sacrifice your most cherished experience that’s not living life. Haha. On the contrary, I am inclined towards Pepsi. 🙂 On cola anything goes for me. I pretty much only drink Diet Coke with Splenda. We stock up on it when it’s on sale. However during the toughest times for us, I was willing to give it up or drink various flavors of Diet Rite (not the cola, though) as it is also made with Splenda. I always try to buy the best quality things I can afford. I don’t buy the latest fad and typically wait for a better deal. I think you can buy quality for less than retail but you have to do a little work to find bargains. Yes I do too, I set aside 50% as saving. With rest 50% I try to spend towards whatever best rather than as many that can fit in. For me its cosmetics. The name brand doesn’t matter, but I’ll spend twice as much on a lipstick that feels and looks amazing instead of buying a cheaper one that gets the job done but looks just ok.
My Wife’s fav hangout is ULTA.. Although I can’t tell for sure if its cheap cosmetics by looking at someone. Interesting blog name Aja. Thanks for comment. Interesting! I start my day with a cup of coffee at home, and two cups of tea at work. Coffee takes me through my ride to work. Tea takes me through the whole day. Yes, tea is important for tea drinkers! Great post! I’m an organic milk girl. Rather, we are an organic milk family. I refuse to buy milk that isn’t organic. I’m not parshall to one brand, I’ll buy the cheapest I can so long as it still tastes how I expect it to taste. Ever since I tried organic milk, I’ve been hooked. My budget will always allow it. It has to! glad to hear your story. I think we all have some kind of weaknesses towards things we cherish for. All of us.